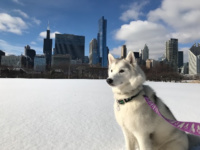 Windy City Paws proudly hires employees rather than independent contractors because we believe in continuing education for our walkers and office staff. This ensures that we can continue to provide the premier service on which our clients depend. One of the training programs we provide for our walkers is the FetchFind Monthly Pro Program. FetchFind is the world’s only career and education site dedicated exclusively to the pet industry. 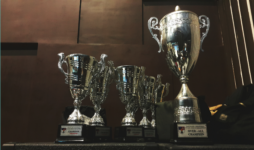 FetchFind content focuses on topics and tools relating to pet behavior, pet health, customer service, general business and other professional skills needed for working with animals. What is the FetchFind Monthly Pro Program? 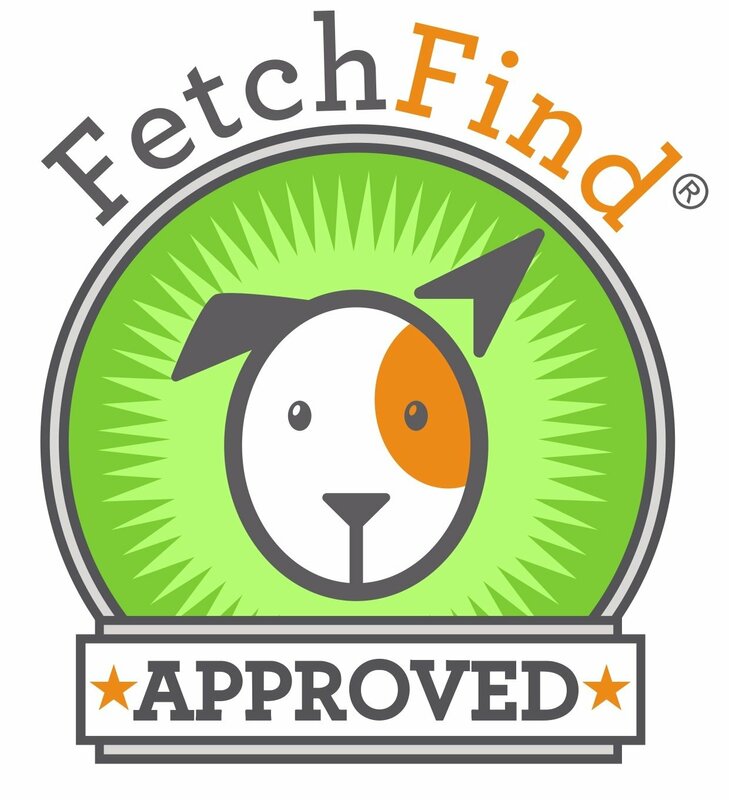 Windy City Paws is proud to be FetchFind Approved! Using science-based, up-to-date content developed by nationally known pet industry experts, the FetchFind Monthly Pro program ensures that all of our employees are trained with the same consistently high standards from the minute they join our team. This means you can rest assured that your beloved pets are receiving the best care possible from our knowledgeable, confident, and compassionate staff. 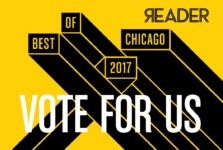 At Windy City Paws we put paws first! Your pet’s safety is a priority and we want to ensure that our walkers are equipped with the knowledge to evaluate each dog’s needs. One important lesson learned in FetchFind is doing a “Nose-to-Tail” check. By doing “Nose-to-Tail” checks, a walker is able to make a quick evaluation of a dog’s overall temperament to help them assess the next move, whether the dog is encouraging engagement or signaling for space. We treat every pet as an individual, so it is important to know how to determine the best approach to keep everyone safe and happy. “I did not know that dogs lick their lips and yawn when they feel uncomfortable. Knowing this now has assisted in many situations during my route.” – Brittany M.
How Can We Prepare our Walkers for any Situation? One prominent education need is equipment training. 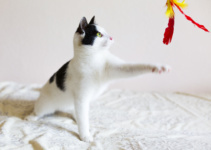 Each client may have different equipment for their pet. It is important to understand how and when to use equipment safely and effectively. FetchFind provides lessons on safely putting on equipment for a walk. 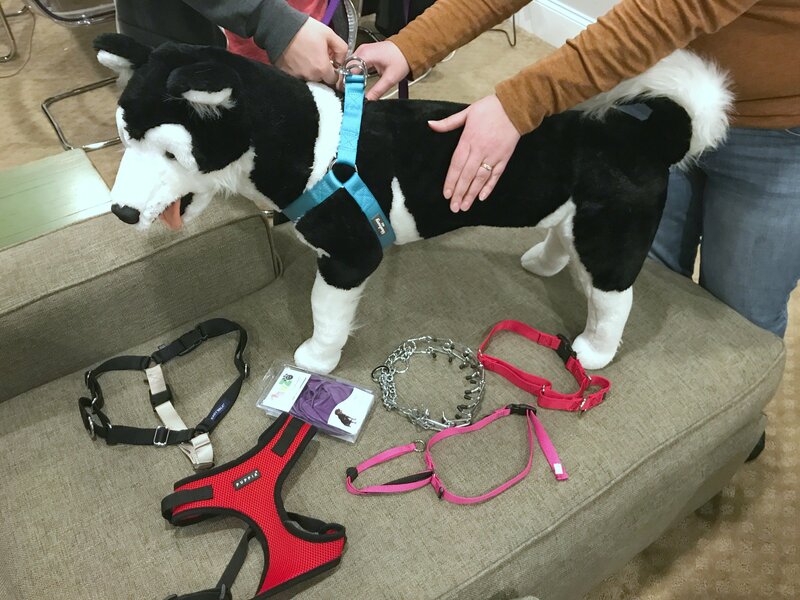 We find it important to expand on this lesson by providing a hands-on training where walkers actively learn how to use the variety of different collars and harnesses as well as tips and tricks for safely putting on winter gear. Harness training with our Field Operations Manager. The FetchFind program is an investment in our walkers, and we want to make sure they feel confident and comfortable in their job at all times! We want to provide the best experience possible for our clients, and that begins with training and communication.